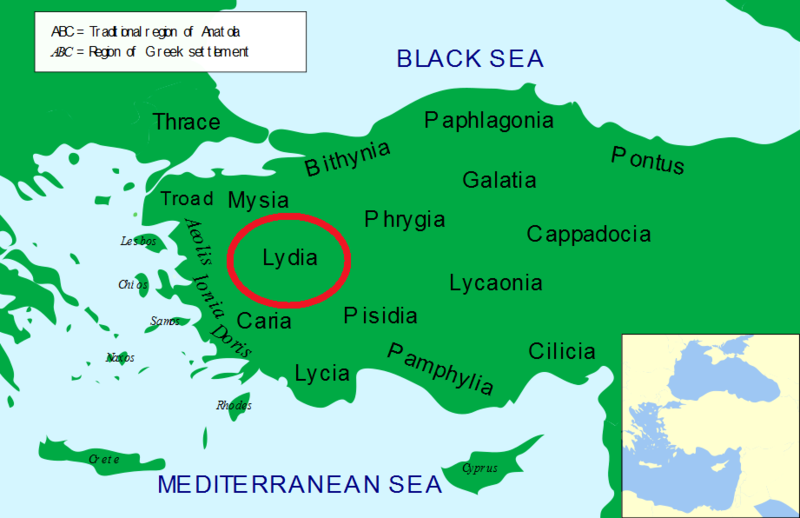 Lydia lies in east-central Anatolia (Asia Minor) between Ionia and Phrygia. The kingdom of Lydia gradually rose in power in the 7th Century B.C. and by the time of Alyattes and Croesus, it was controlling most of Anatolia after rebuking Medes (the pre-Achaemenid empire). The most important city was Sardis, today Sart, housing impressive ruins. The Lydians were viewed as a merchant people and the kings as extremely wealthy. Croesus gained mythical status and today we still use the expression, "rich as Croesus." Ref: RIC 510; RSC 279; Metcalf Typ 47.